Re-wrote entire mod to touch as few vanilla files as possible for maximum compatibility. Added Lockpicking and Pickpocket to the reasons for Brynjolf to approach you in The Bee and Barb. Increased skill threshold to 25. Fixed Cicero disappearing into thin air immediately upon completion of DB01Misc ("Delayed Burial"). He now correctly waits 24 hours. 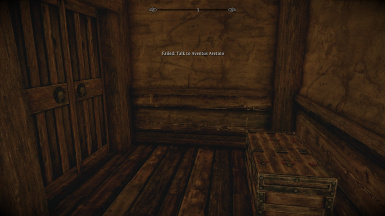 Fixed vanilla bug which would cause Cicero to sometimes not enter the room and speak with the Night Mother in DB04 ("Whispers in the Night") and leave the player stuck in the coffin. Allowed DB01Misc to be completed even if Dark Brotherhood quest line already failed. Added error trap to DB01Misc resolution. DB03 ("Mourning Never Comes") set to be available once Cicero arrives in the Sanctuary, roughly 7 hours after the completion of DB02a ("Sanctuary"). Side quests not required. DBrecurring ("The Dark Brotherhood Forever!") made repeatable only once per in-game week. Unified scripting for the disappearance of Cicero from the road into one file and function. Cicero appears in the Dark Brotherhood sanctuary based on a timer from the completion of DB02a ("Sanctuary") not based on side quest completion. Please report any bugs as this Beta was untested due to real life timing constraints. Improved timer script for "Innocence Lost"
Added timer to begin "With Friends Like These..."
"Innocence Lost" will be failed if you do not speak to Aventus or kill Grelod within two weeks of hearing about Aventus attempting to contact the Dark Brotherhood. If you kill Grelod before hearing about Aventus, you get a message telling you to speak to Aventus referencing the children cheering that "Aventus did it!" Brynjolf will not give the quest "A Chance Arrangement" before your sneak skill is at 20. "Sizing up your mark" indeed. File 'Time Marches On' description changed.